STRICKLAND, SAMUEL, landowner, Canada Company official, and author; b. 6 Nov. 1804 at Stow House, Bungay, Suffolk, England, one of two sons and six daughters of Thomas Strickland and Elizabeth Homer; d. 3 Jan. 1867 at Lakefield, Canada West. Thomas Strickland and his wife were both progressive and practical in their educational theories – their children, including Samuel, Susanna*, and Catharine*, were educated at home and every detail of their learning was supervised by their parents. Reminiscing about their early years, Catharine remembered their regimen as strict, but also broadly based, with an emphasis on the learning of skills which served them well when they later immigrated to Canada. In 1818 Thomas Strickland suffered a financial disaster and died shortly after. 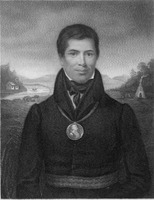 Colonel Black, a friend of the family who had immigrated to Upper Canada, offered to sponsor and instruct Samuel in pioneer life. Strickland eagerly accepted the offer, sailed for Canada in 1825, and joined the Black family at Darlington (Durham County). After a few months of pioneer apprenticeship Strickland married his sponsor’s daughter, Emma. With a wife and prospects of a family, Strickland sought land of his own. 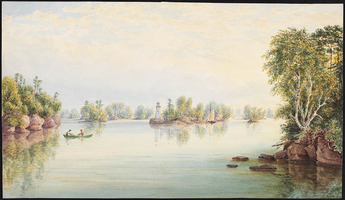 In May 1826 he bought 200 acres of land in Douro Township near Peterborough, where Thomas Alexander Stewart and Robert Reid had established their families. Before the end of the summer, Emma Strickland had died in childbirth, leaving a son who also died at the age of three. Samuel stayed with the Reid family while clearing and cropping his own land, and in 1827 married Robert Reid’s daughter, Mary. 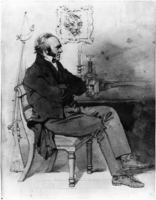 In 1828 John Galt* employed Strickland as a Canada Company “engineer” and involved him in the development of Guelph, where he managed the company’s stores, kept the labour rolls, and superintended the building of roads and bridges. Strickland, William Dunlop*, and Charles Prior supported Galt’s policies in the Huron Tract, but after Galt was dismissed in 1829 Strickland did not find favour with the new administrator, Thomas Mercer Jones. Strickland actively built up Goderich, the chief town in the Huron Tract, and enthusiastically promoted the opening up of the entire district. But there was obviously no future possible for him as a Canada Company official, and in 1832 he moved back to the Douro district. With his small accumulation of capital he bought land eight miles farther north into the bush than his first farm. His sisters Catharine Parr Traill and Susanna Moodie had also emigrated from England and settled in the same area in the early 1830s. For the next two decades Strickland engaged in all the activities of a hard-working farmer, an enthusiastic sportsman, and a leading citizen of the growing community of Lakefield. He was a justice of the peace, president of the Court of Requests, and a captain in the 4th Northumberland militia. He supported the construction of Lakefield’s first mill, its bridge over the Otonabee River, and its first passable road. He also established an agricultural school where, for a fee, young men were trained in the skills necessary to land-holding and farming in Upper Canada. In 1852 Mary Strickland died giving birth to her 13th child, and Samuel, with one of his daughters, visited his sisters in England. There Agnes, now famous as a writer of historical novels and biographies, persuaded her brother to write down the story of his life and times in Canada. Twenty-seven years in Canada West (1853) is distinguished by the candour and practicality of its tone – as Strickland remarks in his preface, he had experienced “all the gradations of colonial experience” that a gentleman-farmer such as himself would be likely to find in Canada. Through optimistic argument Strickland attempts to persuade settlers of all degrees to settle in Canada, and to demonstrate to them that vigour and energy, willingness to adapt and, above all, to work hard, will bring them success. He writes in an eminently plain style, blending chronological factual data and anecdote, without emotional overtones, and with no romanticizing of his experiences. The book is a man’s companion piece to his sister Catharine’s The backwoods of Canada . . . (London, 1836) and The Canadian settler’s guide (Toronto, 1855). 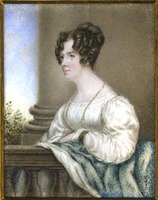 While in England Strickland became engaged to Katherine Rackham, whom he married in 1855. They returned to Canada, where his energy and optimism, the benevolent paternalism of his squirarchical attitudes, and his mild eccentricity made him a legend in the Lakefield district. In his middle and later years he was an impressive man, tall, portly, and white-haired, and he had a presence that commanded respect. The traveller Charles Weld draws an engaging picture of Strickland among his many children and the red-shirted young apprentice-farmers at his school. If, as some sceptics implied, the school was a bit of a “sell” and the boys learned more about hunting, fishing, and carrying their liquor like gentlemen than they learned about farming, they must certainly have also imbibed the generous spirit and abounding enthusiasm of their teacher. Samuel Strickland’s book, a document of almost three decades of pioneer experience, is witness to a life lived and recalled with a constant, positive energy, as a tough, challenging, but ultimately satisfying adventure. Samuel Strickland, Twenty-seven years in Canada West (London, 1853; repr. Edmonton, 1970). Ipswich and East Suffolk Record Office (Ipswich, Eng. ), Bungay St Mary baptismal register. DNB. A. Y. Morris, Gentle pioneers; five nineteenth-century Canadians (Toronto and London, 1968). 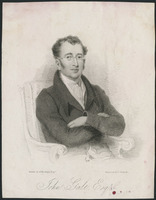 U. C. Pope-Hennessy, Agnes Strickland, biographer of the queens of England, 1796–1874 (London, 1940). C. P. [Strickland] Traill, Pearls and pebbles . . . (Victoria, 1894). J. M. Strickland, Life of Agnes Strickland (Edinburgh, 1887). 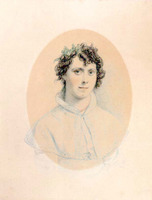 Clara McCandless Thomas, “STRICKLAND, SAMUEL,” in Dictionary of Canadian Biography, vol. 9, University of Toronto/Université Laval, 2003–, accessed April 25, 2019, http://www.biographi.ca/en/bio/strickland_samuel_9E.html.